Clarence Henry Campbell May 1933 - February 2019, passed away peacefully at St Luke’s Hospital in Kansas City, MO. Clarence was a life time member of Palestine Baptist Church and worked as the Security Guard at 2nd Baptist Church before becoming ill in 2018. Clarence retired from Sheriff’s Department KCMO in 2010, where he worked for approximately 10 years. 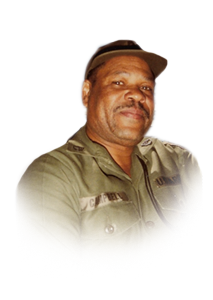 He was one of four children born to the late Levert Campbell and Francis (Childs) Finch and was the beloved husband of Shirley Campbell for over 53 years. Clarence will forever be remembered by his devoted sister Mae Etta Ransom and brother,Tommy Campbell; one Step Sister, Darlene Finch. He joins his brother, Willie Campbell in heaven. He leaves behind his beloved children Carolyn (Marvin) Rhodes, Connie O’Field, Charles (Jeanna) Morehead, Lemuel (Rhae) Campbell, Andre (Deloise) Campbell and Darryl (Alena) Campbell and a host of grandchildren, great grandchildren, great great grandchildren, along with countless other friends and family whom were blessed to know him. Clarence loved to be a protector and provider for not only his family but the community. Clarence served with the United States Army during the Korean war. Clarence always worked to protect his family and friends his whole life up till his death. A Memorial Service will be held at 10:00 A.M. on Saturday, February 9, 2019 at Palestine Missionary Baptist Church 3619 E. 35TH Street KCMO 64128. Visitation 9:00 A.M. Interment Mt. Moriah Cemetery.